I am pleased to announce the winner of last week's "Vote on Ty's Hat" contest. Valerie Molle of Salt Lake City was selected from the hundreds of ballots I received. Valerie voted for my old, dusty, Foreign Legion camouflage hat with the cool neck flap, which only a select few actually preferred over the Indiana Jones hat which My Lovely Bride bought for me. (Now, whenever we hike together, I wear the new model, in deference to MLB's desires...) Valerie will receive this very cool looking stuffed desert tortoise (Gopherus agassizii). These tortoises are very hard to find in the wild, because they rarely emerge from their burrows, except during the summer monsoon season (July-September). 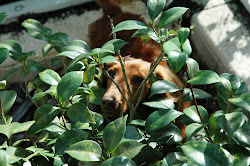 But they are long-lived (50-80 years) and survive on grasses, herbs and some varieties of cacti. At the end of that hike, I stopped in a restroom to wash my hands, and as I reached down into the sink to rinse them, my eyes caught movement... this striped bark scorpion (Centruroides sculpturatus), the most venomous of American scorpions. The bubbles around him (her) are from the soap on my hands... I picked up a coffee cup out of the trash and relocated this little guy outside. I then stopped at the visitor center to let the rangers know about the scorpion, because their stings can be fatal to children, older adults or those with medical problems. (Fortunately, I don't fall into any of those categories.) Mark, the resident ranger and wildlife expert, gave me all the scoop on local snakes, scorpions, Gila monsters, tortoises, deer, coyotes, etc. Mark has been stung 7 or 8 times by scorpions, and fortunately, the worst effects were intense pain and sore arm muscles for 48 hours. He also showed me another local resident, a giant hairy desert scorpion (Hadrurus arizonensis), a much less aggressive variety than the bark scorpion. I couldn't believe he was picking it up in his hand, but he assured me that it was safe. Relatively speaking. After surviving encounters with slithery critters, Suzanne and I were very fortunate to be able to go soaring (separately) with John Weber, who is an expert pilot of sailplanes and powered aircraft (he has 5 or 6 planes). John has been flying gliders (sailplanes) since he was 15 years old, and put his carbon fiber craft through its paces, taking advantage of thermals to rise from 1,000 feet to 12,000 feet. Here John and Suzanne are about to take off. This model has a retractable propeller that allows the pilot to take off without a tow plane. (The propeller is known to other glider pilots as "the mast of shame" and is retracted shortly after take-off. If all goes well, it is not used any more except in an emergency, even not to land.) See Suzanne's video at https://www.youtube.com/watch?v=fZSa5nwX3dw for a great summary of the flight. It was a once-in-a-lifetime experience for both of us. We were amazed by John's ability to find thermals (updrafts) that lifted the sailplane up and up - you can hear the variometer beeping in the background - it's a device that lets the pilot know when he's climbing (higher pitch) or falling (lower pitch). Thank you, John, for an incredible experience!!! Suzanne returned from Florida and we continued our daily hikes; here she is in the early morning's light at Gunsight Pass on the Go John Trail. (The name comes from the similarity of this rock formation with the iron sights on a Model 94 Winchester.) After viewing my photos of the boat trip, she said she thought of wearing her bikini for the hike, but prudence prevailed. Another desert hike took us to Spur Cross Regional Park, where last year we participated in a bench dedication ceremony for Morgan Boisson and Kyle Erickson, two young men who have passed to the other side. We are now friends with their parents, and wanted to spend a few minutes in the special serenity at the top of Mariposa Hill. We have enjoyed special friendships here in the Phoenix area - this dinner was at Elizabeth and Cyril Boisson's beautiful home in Cave Creek with its amazing art collection - along with Lynn and Jeff Hollahan and Debra Henson. Suzanne's wonderful assistant Bev was to have flown out to Phoenix for Suzanne's event in Scottsdale the next day laden with supplies like folders and nametags, but she was sidelined by a nasty case of pneumonia. So, in addition to dinner, we had a "folder-stuffing party" after dessert. Suzanne's marketing assistant, Brenda Baker, was also seriously ill and in the hospital during this period. Fortunately, both Brenda and Bev are recovering after their ordeals. The big event was titled "Up Close and Personal with Susanne and Suzanne". Susanne Wilson is a medium here in Arizona, whom Suzanne met at the bench ceremony discussed earlier. 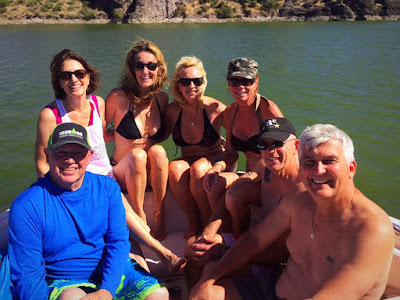 They hit it off, and over the past year developed a program first presented here in Scottsdale, where it was enthusiastically received by over 100 attendees. Susanne and Suzanne will be holding another workshop at the Hacienda Center in The Villages, Florida, in March, 2018 (details to follow). We enjoyed a great dinner with Susanne and her husband Carl, a former Marine who has run several successful businesses and enjoyed sailing in the San Francisco Bay area. 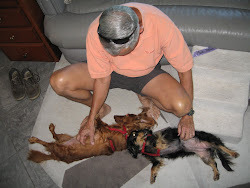 We got along very well with this great couple and look forward to their visiting us in Florida. Finally, a couple of comments about a sister service from two retired naval officers. We were going through the gate at Davis-Monthan AFB, and the gate guard , a young Air Force guy, checked our ID cards, saluted, and then said something that we had never heard from a tough security force person... normally, a Marine gate guard will say, "Ooh-rah, sir!" A Navy seaman will say "Go Navy, sir!" 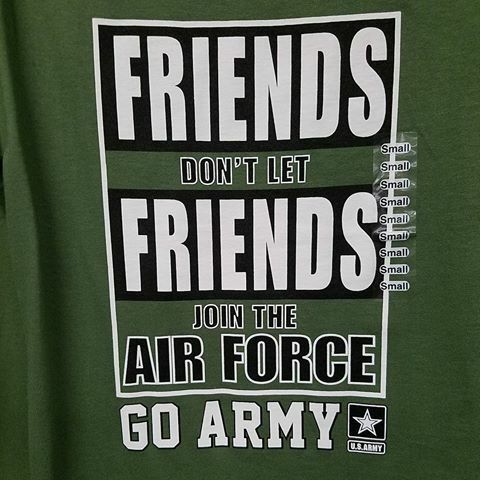 A soldier will say, "Hooah, sir!" This young Air Force guy said, "Fine and dandy, sir!" "Fine and dandy???" That interaction led me to recall this photo... "Just sayin'..."
At the risk of dating myself, does anyone remember Mr. T from the 80's? The reason I ask is not as a result of losing a trivia contest (actually, I was either at sea or stationed overseas then), but rather a recent experience getting my hair cut. At an undisclosed location (unnamed for my personal protection), I walked in to a military barber shop, saw 7 men waiting, and turned to get a number from the little red machine. Before I could draw my number, a deep bass voice announced, "Sir, there's no wait. Sit down in this chair right here!" 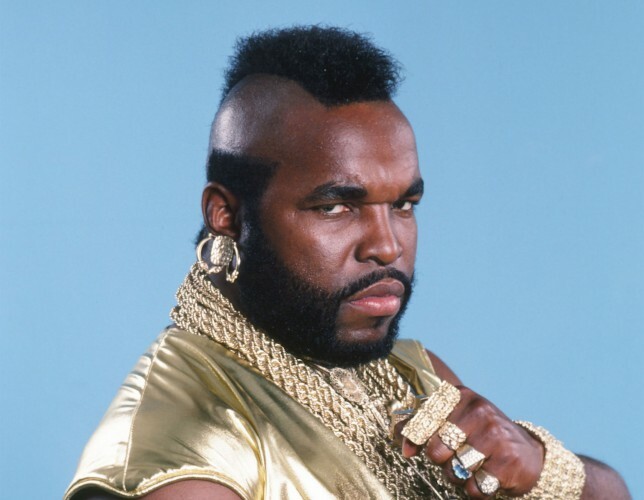 Startled, I looked up at a replica of Mr. T from The A Team - huge, Mohawk and wearing solid gold bling jewelry. Confused, I looked at the other customers, all of whom were suddenly intently studying their magazines or iPhones- except one young airman, who looked at me with a smirking "You are doomed, Bud!" expression. I said, "But what about all these guys?" "Never mind them, they're all wusses!" (It's hell being an out-of-towner...) I sat in the chair, and Mr. T's twin asked how I wanted my hair cut. "Medium, not too short, tapered in back... and did I mention 'not too short'?" Well, about 2 minutes later, I was out of the chair with the shortest haircut I've gotten since OCS back in 1969. You know you're in trouble when all of a sudden you feel the wind on your bare scalp - and you're inside! My Lovely Bride looked at me in shock when I got back to the coach, but stifled her laughter out of courtesy. Tent Rocks (actually the Kasha-Katuwe Tent Rocks National Monument) between Santa Fe and Albuquerque is a stunningly beautiful area. The spires are reminiscent of the hoodoos of Bryce Canyon. We had a great hike there on a day when few people were around. Those cliffs and spires are from 500 to 1,000 feet high. Kasha-Katuwe means "white cliffs" in the native Keresan language of the pueblo here. Here is My Lovely Bride in a narrow slot canyon holding up the side walls - can you imagine what this would look like in a flash flood??? Ooog-ley!!! The young ranger told us that the trail was "moderate", but when we got near the top of the canyon, some rock scrambling was necessary... My Lovely Bride was somewhat less than impressed by the ranger's analysis of this trail, especially since this was supposed to be a "recovery" day after a two-day workshop! Jim also gave us a tour of his research facility at Kirtland - he is senior engineer working on a cutting edge Brayton cycle project to produce electricity more efficiently. I would have taken a photo of his equipment, but it was located in the nuclear area of the base, and I'd probably be locked up for a decade or three for taking photos, so I'll pass on that. I can post a photo of Jim presenting me with a beautiful turquoise and silver money clip, which he acquired in Madrid - that's pronounced Mad-rid, and is a quaint tourist town near ABQ. Thanks, Jim, for the gift and the hike. Suzanne and I are already looking forward to our next visit! This terrain is typical of the Sandia Mountains - rugged and rocky. This photo was taken on the Domingo Baca Trail not far from where Jim and I hiked. to hike on the east side of the mountains. We drove up to Sandia Crest (10,680 ft) and found a great hiking trail - which unfortunately was impassable because of dozens of downed trees (deadfalls). Here is MLB standing in a cold wind in a fleece jacket - it was in the low 50s up there where the wind was roaring over the crest of Sandia Peak. We were staying at the Kirtland AFB Family Campground, which had no grass for the puppies to enjoy, only rocks, sand and dirt. So we would drive to the parade field every evening at sunset to let Rudy and Gretchen run through real grass for a change. Sunsets here in New Mexico (and throughout the Southwest) are often impressive, and this one was no exception. We were pooped by the end, and no-see-ums were munching on My Lovely Bride. Seems that her Boy Scout husband had neglected to bring insect repellent... oh, gloom and sorrow. But I did get her to laugh when we stopped at the park bookstore. She hasn't liked my desert hiking hat very much, so she picked out a new one for me. I would like to prove to her that my taste in haberdashery is just fine, so I'm taking votes on hats A (the first two photos of my really cool camouflage Foreign Legion-style cap with the flap covering my neck) and B (the third photo of the stylish chapeau that MLB prefers). Fort Sam; Wimberley and New Braunfels Events; Adios, Ya'll! Santa Fe; Snow! Ten Thousand Feet!!! 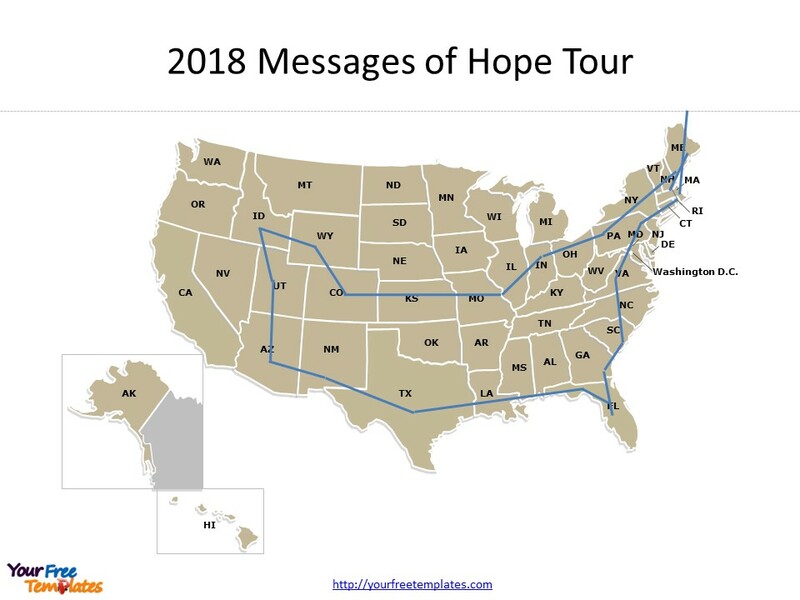 The 2017 Messages of Hope Tour continues west. After Houston, we moved on to San Antonio, spending a few days recharging at Fort Sam Houston. "Fort Sam" is a favorite of ours, mainly because of the atmosphere created by hundreds of young combat medic trainees, both Army and Navy. Yes, the Navy sends some hospital corpsmen here - those that are destined to serve with the US Marine Corps, particularly in front-line combat units (such as the infantry, affectionately known as "grunts"). Corpsmen (like chaplains) serving with Marines even wear Marine uniforms. Class units of 20-40 soldiers and sailors marched to and from classes and meals, and we happened to be riding our bikes around base during the Friday graduation ceremony. The roar provided by hundreds of loud "Hoo-ah" and "Ooh-rah" shouts was energizing. Earlier, we had passed a football field stacked with duffel bags and sea bags; then an hour later we passed that same field crowded with young men and women and their proud families, picking up their gear to start the trip to their first real duty assignment. For some it might be just down the road here in Texas at Fort Hood or Fort Bliss; others might be flying over to harder front-line combat tours in Afghanistan, Iraq or Somalia. In any case, all of these young soldiers and sailors are prepared to put their lives on the line for the rest of us Americans. So the next time you see a military person in uniform, please give them a thank you. Another great activity here is riding the bike trail along the San Antonio River, which is part of a National Historical Park. There are eight missions along this beautiful, well-maintained trail. Our turn-around was at Mission San Juan Capistrano, founded in 1731 by Franciscan priests. Construction was completed in 1756, and the mission seems little changed from that era. Suzanne's next Texas events were her Adventures in Consciousness presentation at Unity of Wimberley, which has a very friendly and active spiritual community. She also spoke at Unity of New Braunfels, where she gave her Transformative Power of Hope presentation. Here is Suzanne with Rev. Karen Tudor, Senior Minister at Unity of New Braunfels. Onward to Kerrville, in the heart of Texas Hill Country. Suzanne's first event, the Transformative Power of Hope, was held at Unity Church of the Hill Country. Rev. Patty Edwards was our delightful host here. Suzanne had been invited to Kerrville by Ed and Sylvia Reaves, two extraordinary folks who had attended several of Suzanne's events in the past. Ed and Sylvia made our visit thoroughly enjoyable. Suzanne presented her Serving Spirit mediumship class at the Inn of the Hills, and the attendees were some of the most enthusiastic yet. At Ed's recommendation, we went hiking at Enchanted Rock State Natural Area, near Freericksburg, Texas. This massive pink granite pluton batholith (dome) is from the Precambrian Era, and is about 1,082 million years old. Gee, that's even older than My Good friend Bob... Apache and Comanche Indians believed the mountain had spiritual and magical properties, partly because it creaked and groaned at night - modern geologists know that these noises are due to the rock's contracting at night after daytime warming. One historical note: in 1841 Captain John Hays single-handed from the summit fought off a band of Comanches trying to take his scalp, inflicting such heavy losses that the attackers fled. Our hike took us up to the summit, where we had a fabulous view of several counties. Then we descended to the Loop Trail, which strangely enough makes a big circle around Enchanted Rock. Who would have guessed? We made a brief stop for PT at Fort Stockton, where we met a real character, Rafael (Rafy) Aguirre, who was the maintenance supervisor at the city park where we went for a long walk. When Rafy found out where we were from, he said, "Oh, yes, Florida is a suburb of Texas!" We spent a few minutes laughing about Texas and Florida, and as we departed, Rafy called out, "Adios, Ya'll!" Santa Fe! Our next stop is one of our favorite places in the US. Friendly people, beautiful scenery and fabulous Southwest cuisine. We immediately went for a hike in the Sangre de Christo Mountains. 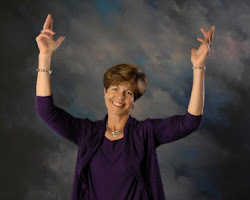 Suzanne has always had a problem with altitudes over 8,000 feet, but the mountains called, and she had been doing some self-healing exercises. She's looking pretty good here at 9,440 feet, but can she go higher???? We met a charming young woman from Los Angeles, Sarah, who is a yoga and pilates instructor. She and Suzanne hit it off right away, and we hope to see Sarah at Suzanne's Serving Spirit class in Camarillo, CA, in July. Our next hike, the Big Tesuque Trail up to Aspen Vista in Hyde Memorial State Park, was a challenge. 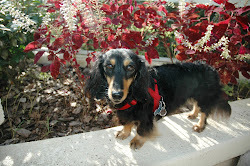 Here is our altimeter proving that she made it above 10,000 feet. Unfortunately, heavy snow from last week's storm blocked our path, so we didn't make the summit, but it was still a memorable hike. As we finished that 6 miler, My Lovely Bride said, "Ty, I could do it all again right now!" "Suzanne, speak for yourself... I'm ready for a glass of Cabernet!"